Curiosity sees its shadow in its first image relayed back to Earth (Credits: NASA). After a 9 month journey, NASA’s Mars Science Laboratory (MSL) rover has successfully landed on Gale Crater, Mars as of 5:32 UTC. “The Seven Minutes of Terror has turned into the Seven Minutes of Triumph,” said NASA Associate Administrator for Science John Grunsfeld, referring to the novel and risky landing system that had everyone on tenterhooks through those final moments. “The landing takes us past the most hazardous moments for this project, and begins a new and exciting mission to pursue its scientific objectives,” said MSL’s project manager Peter Theisinger. The successful landing of Curiosity marks the beginning of its Mars exploration mission, which aims to determine the habitability of Mars, both past and present. The spacecraft has already collected data on space radiation throughout it 8 month cruise to Mars, during which it was hit by five solar flares. This data will help scientists and engineers further their understanding of the effects of space radiation, and it is fundamental to the design of any future manned missions to Mars. A high resolution 3D photo of Curiosity’s landing site, Gale Crater, taken by Mars Express’ High Resolution Stereo Camera (Credits: ESA/DLR/FU Berlin). The landing also validated NASA’s bold soft landing technique, where a jetpack – called Sky Crane – is used to slow the probe down from the more than 300 km/h it is travelling at once it releases it parachute, to a little over 2 km/h. At this point, the rover is lowered from the Sky Crane, from a height of more than 7 meters, using three nylon bridles, while an umbilical cord provides communication with the rover. Once Curiosity is safely on the ground, the bridles are cut and the umbilical is disconnected, and the Sky Crane flies away, crash-landing at a safe distance. The new landing technique also represents a significant improvement on landing precision: the landing ellipse for MSL was 20 by 7 km, whereas the ones for the Mars Exploration Rovers were 150 by 20 km. 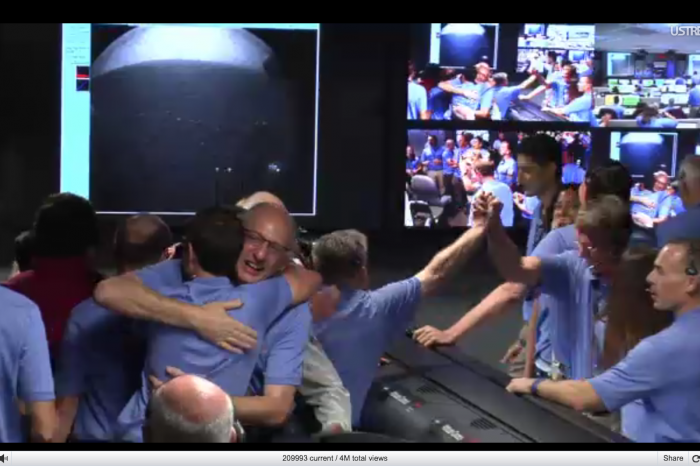 Missions Control at NASA’s JPL erupted in cheers as confirmation of a nominal landing came through (Credits: NASA). MSL was launched from Cape Canaveral on November 26, 2011, atop an Atlas V rocket. With its cruise to Mars complete, final preparations for entry, descent and landing (EDL) began on July 28, when the spacecraft performed its fourth and final trajectory correction maneuver. On July 31, the flight team configured the spacecraft for EDL by enabling the autonomous software that guided Curiosity. Meanwhile, Mars orbiting spacecraft such as NASA’s Mars Odyssey and Mars Reconnaissance Orbiter, as well as ESA’s Mars Express, prepared to track MSL’s arrival and relay its data back to Earth. 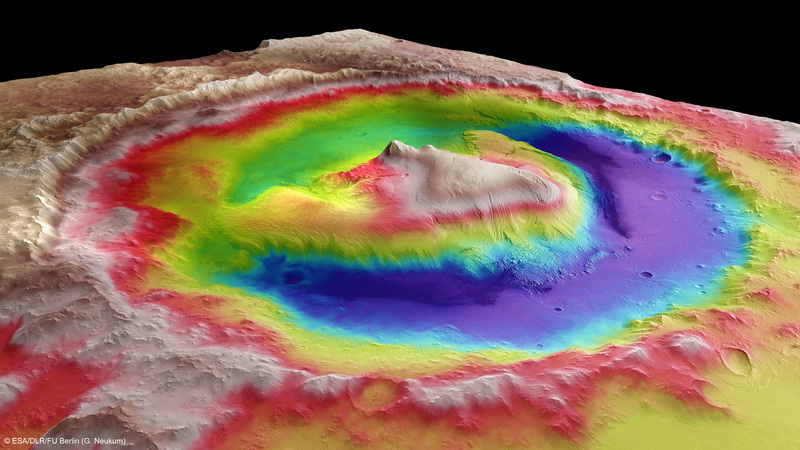 The probe reached the top of Mars’ atmosphere at 5:25, and its wheels touched the ground at around 5:32 (UTC). The landing was described as on the good side of nominal, with error coming in lower than expected and well within provided margins. JPL engineers are still processing the streams of data, so more details should be available soon. 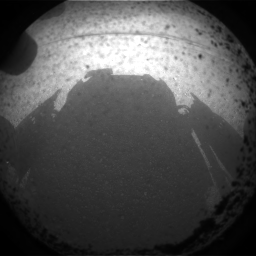 Curiosity has already transmitted its first images back to Earth, with the first photograph of its own shadow already taking on iconic status. Over the following days, Curiosity’s flight team will deploy the probe’s instruments, and send images and videos back to Earth – among these will be the ones taken by MARDI, picturing the probe’s daring descent and landing on the red planet. And with its mast deployed, it can start to take its first 360 degree panorama of its landing site.